Want to start the NEW YEAR with a new job, become an IRIDOLOGIST and help others heal themselves. Iridology is the study of the iris, pupil, and sclera. Each iris comes with its own unique pattern of colors, fiber density and structures. Each unique pattern represents certain energy within different body systems. By using a special digital iris camera a trained Iridologist can analyze patterns and identify underlying body weaknesses, strengths and genetic predispositions. 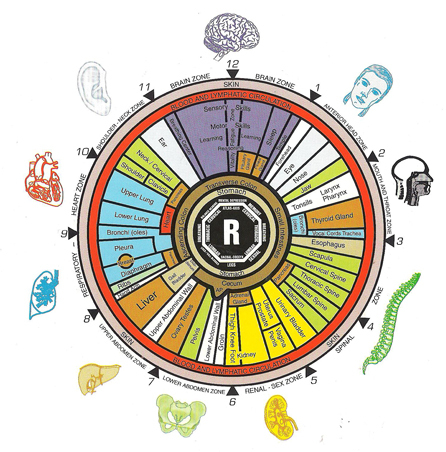 Iridology is not new. The first records of iris analysis date back as far as ancient Babylon. In the 20th century, doctors and scientists from Untied States, Australia, Europe and Russia brought worldwide recognition to Iridology. These great international Masters developed several Iridology charts, and along with today's high definition digital macro lenses the art and science of Iridology is accessible and a wonderful tool for Health professionals. Massage Therapists, Naturopaths, chiropractors, holistic nutritionist, Herbalists, Energy Healers, Physiotherapists. Through Iridology a holistic health professional will be able to assess areas within the body that need nutritional, energetic and spiritual support to maintain OPTIMUM HEALTH. You have to take Level I, II and an IIPA approved anatomy course to be able to apply for the international IIPA certification exam. IIPA stands for International Iridology Practitioners Association. This organization was formed to standardize international Iridology Certification Programs and Guidelines. · Weakness within the lymphatic system, probably more prone to sinus and throat infections. · Prone to be more acidic which can cause a higher chance of arthritis and gout. 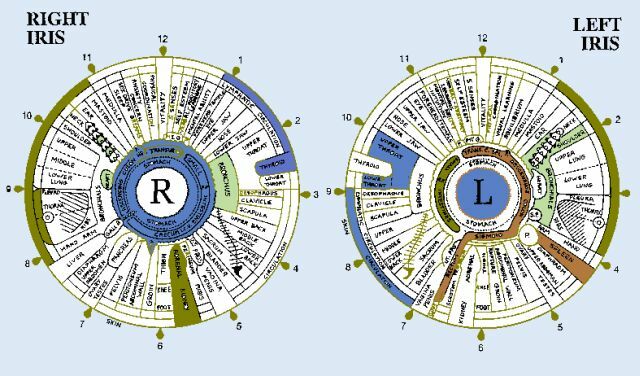 Of course these examples are very basic, but it can gives you an idea what Iridology is all about. Iridology is not just about physical signs, it can also identify emotional strengths and weaknesses. For exampIe: If an iris has a small indentation within the liver zone, it is an indication of holding onto past anger or suppressed feelings. Most of our emotional pain stays hidden deep within our sub-consciousness, but can be revealed through the eyes. · Gallbladder: An inflamed gallbladder is associated with hidden emotions like hatred, bitterness and the inability to forgive. Iridologists are like detectives who string together evidence of the physical and emotional body to guide clients to emotional and physical freedom. As an Herbalist I can’t imagine a better evaluation tool than the eyes of my clients. The moment a client comes to my office, I can assess their physical, emotional and even spiritual health through their eyes. To learn more about the spiritual side of Iridology and to learn how you can use this tool to aid in your own wellness practice enroll today.